Mini wok will always have its little charm. Rustically served in petite-sized woks, this variation of zi char is a perennial favourite for those looking for a filling and hearty meal. When a friend told me how a store at Westgate serves up mean bowls of mini wok dishes, I was genuinely excited. Just like a humble plate of chicken rice found throughout Singapore, I’ve hardly been let down by the consistently high standards from mini wok hawkers. 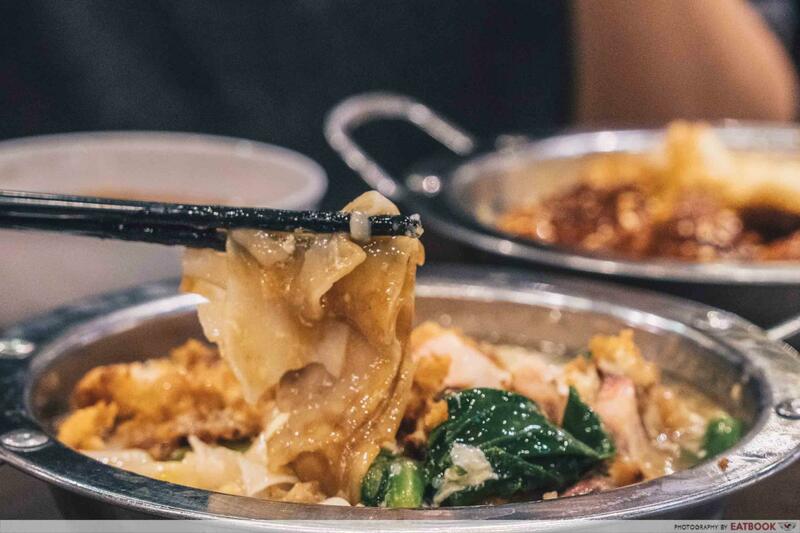 Interested to taste something that is a cut above the rest, I dragged my Eastie legs to Jurong and tried Ya Fu Mini Wok. With over 30 items on the menu, it’s easy to get spoilt for choice. Luckily, there are several “thumbs up” spread across the menu to help the uninitiated on what to order. 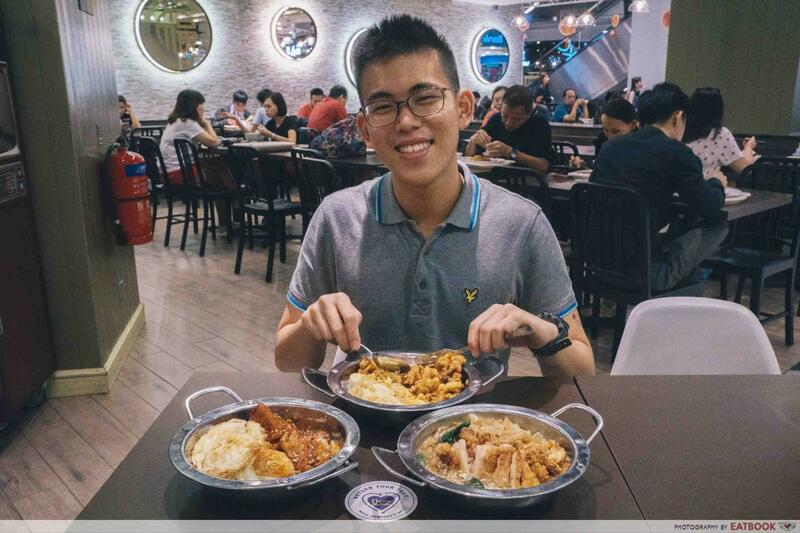 I started off with Chicken Chop Hor Fun ($6.90). 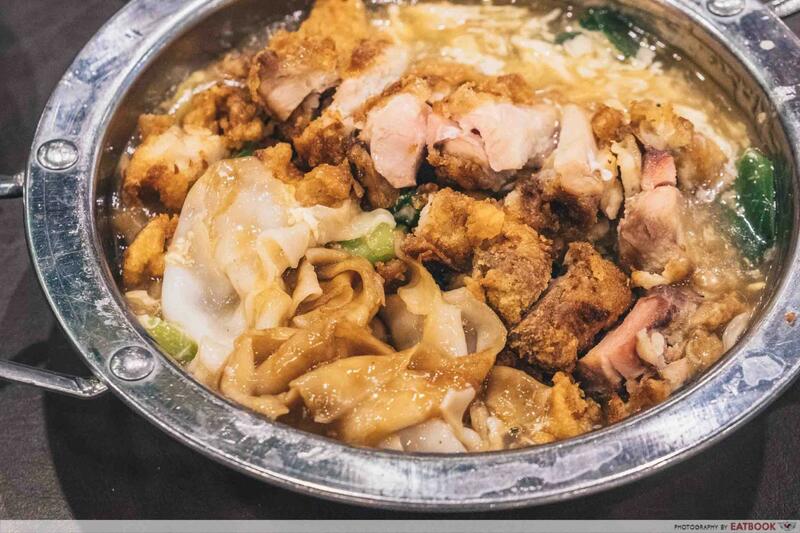 This quintessential mini wok favourite came with crispy and tender deep-fried chicken thigh pieces that are laid on a bed of flat rice noodles. A thick eggy gravy drenches everything, exuding a slight wok hei aroma. 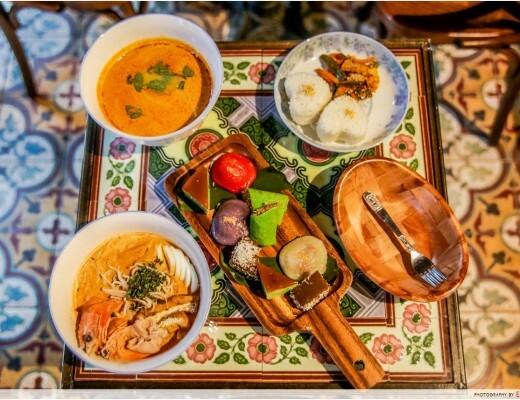 Each dish is only prepared when ordered, and you’ll get to see the chefs fry it right in front of you. The portions are generous, especially the chicken which fills up nearly half of the plate. Coated with a thick batter, the chicken had a nice crisp to it and was seasoned just right. While I felt that the noodles could have been given more wok hei, they were still acceptable and had a slight chewiness. Mixed together with the crispy chicken, this dish makes for a delicious meal that many will like. The sauce had just the right silky consistency, coating the chicken and noodles nicely. Look closely and you can see loads of egg inside that gives it a creamy mouthfeel. 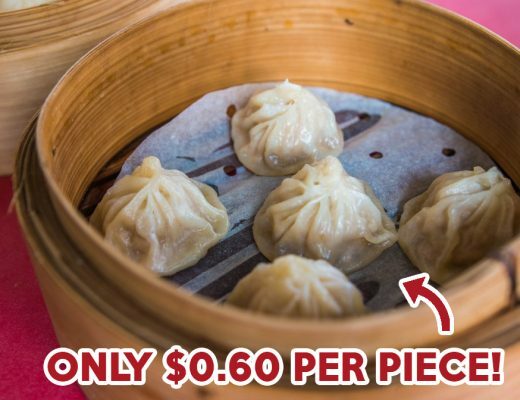 It did not have the overly starchy thickness or bland seasoning that seem to plague some zi char stalls. 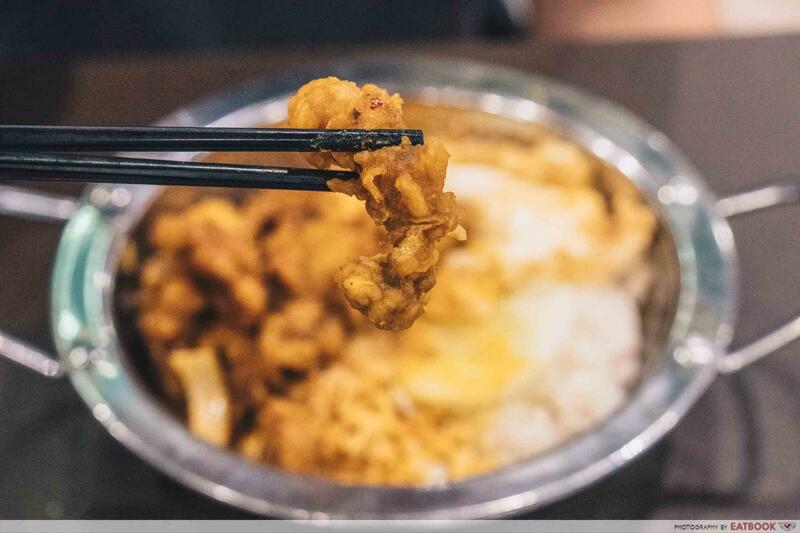 From salted egg yolk xiang guo to salted egg yolk fries, the humble salted egg yolk has been overly utilised by restaurants everywhere, resulting it to be heavily stigmatised by many. Unknown to some, zi char chefs were the first that used salted eggs for flavour. 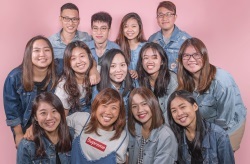 Alas, it seems that there’s no rest for the humble salted egg these days. 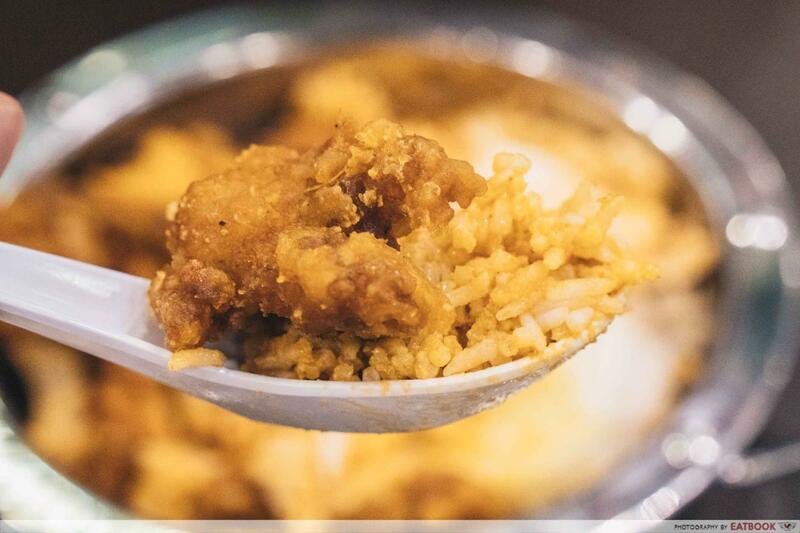 Even zi char chefs, the first adopters of this popular ingredient, have whipped up a unique Salted Egg Curry Chicken Rice ($6.90). 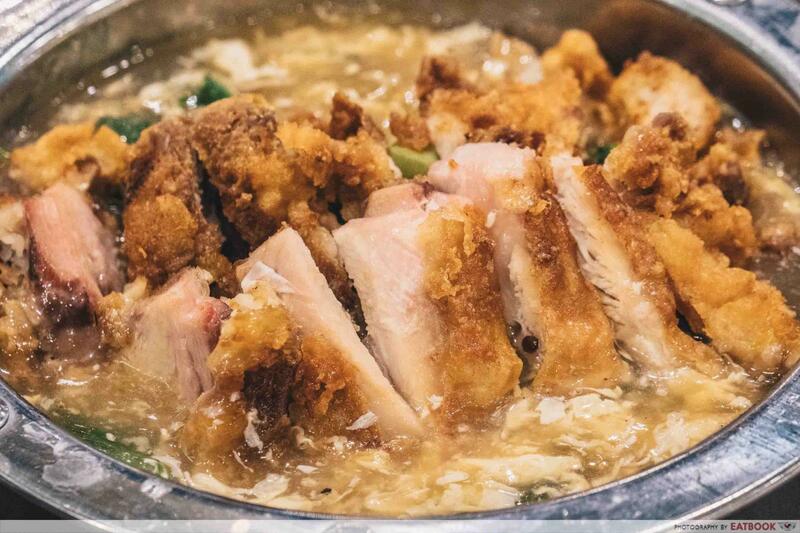 This version features cubes of thickly battered fried chicken, tossed in an aromatic Chinese-style curry sauce that’s flavoured with salted egg yolk. A fried egg is also served on the side. I’m a little confused by this dish. Visually, it looks just like any other chicken dish that’s coated with curry sauce. A quick whiff also reveals the same thick earthy notes of curry leaves. Giving it a bite, I have to admit that I was disappointed to taste little to no salted egg at all. While salted egg is an incredibly delicious ingredient, mixing it with curry sauce only drowned out its sharp and intense flavours. 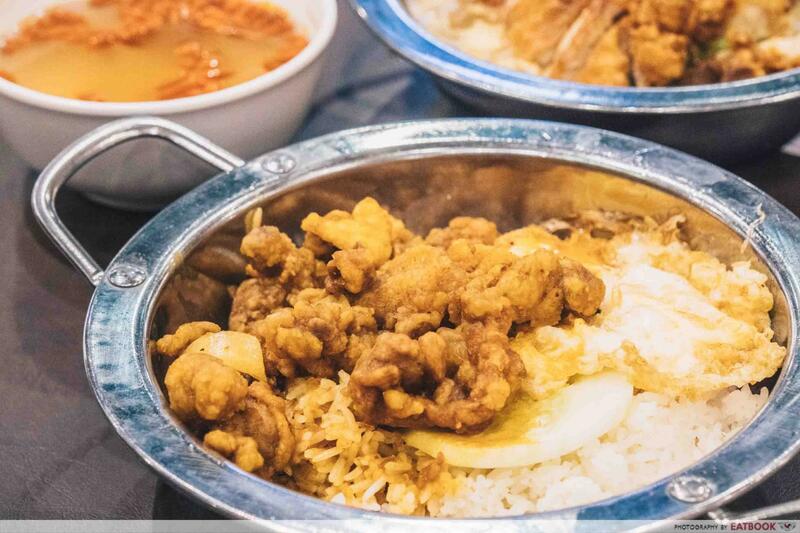 Judging this dish just because it has salted egg would be grossly unfair. In hindsight, the curry had a nice creaminess to it, along with a slight punch of spiciness. The Pork Rib Rice ($6.80) also received a thumbs up in the menu. 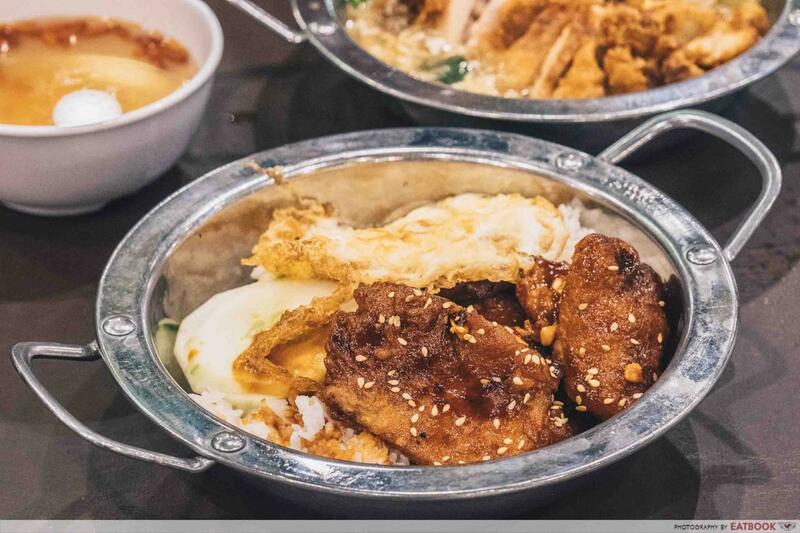 Comprising thick slices of pork ribs that are mixed in a sweet garlicky sauce, the dish also comes with a fried egg. The ribs were tender but retained a slight bite to it. One thing to note was the massive amount of garlic used, which gave everything a powerful pungent taste. I found this to be a little too strong and felt that perhaps a splash of acidity from some vinegar would have been welcomed. 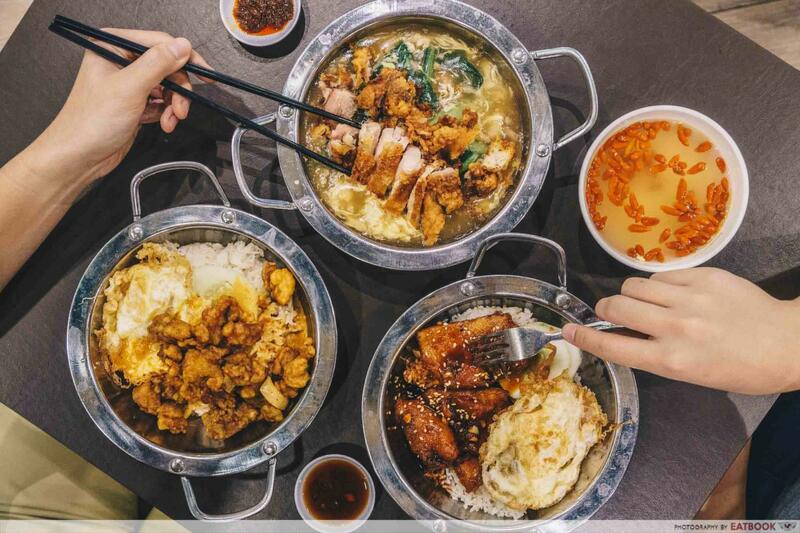 Located at Westgate’s Food Republic, Ya Fu Mini Wok will be a breeze to get to for Westies. For those on the other side of Singapore, getting here will be slightly more challenging. 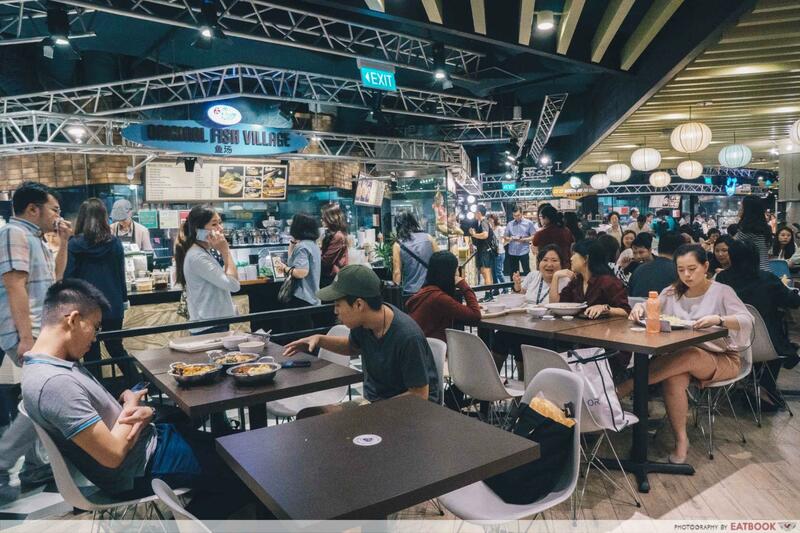 Just like a normal food court, expect no-frills dining here. You’ll have to order the food and bring it to your own table. It’s worth noting that the tables are cleared quickly and it’s not too difficult to find a seat, even during lunchtime. I came to Ya Fu Mini Wok hoping to get impressed by their zi char dishes. After trying out their recommended items, I was a little disappointed that it wasn’t as good as I hoped for. Expectations aside, this store ought to remain a popular choice for those living nearby. 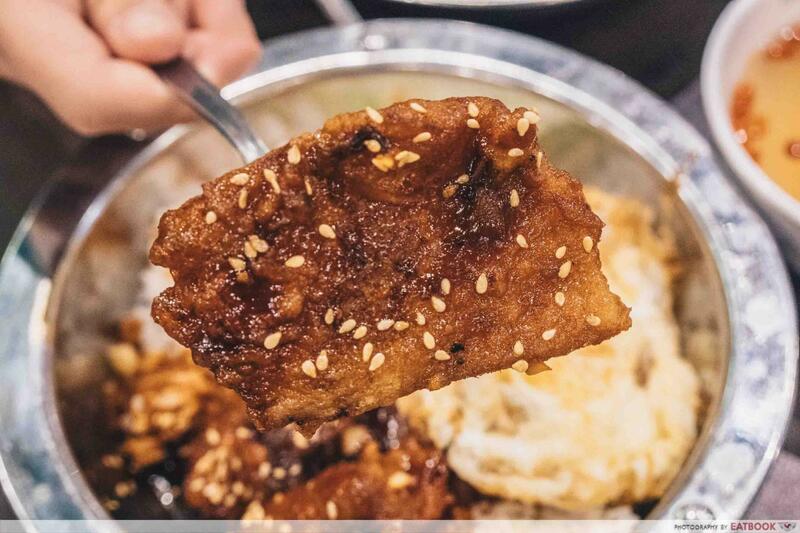 The chicken chop hor fun, in particular, was the most popular dish amongst us due to its generous portions and tasty flavours. 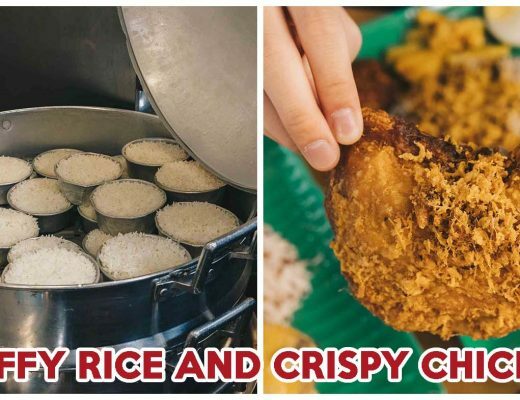 For more tasty food in the west – check out these hawker centres, and famous local food stores that are conveniently located for Westies!